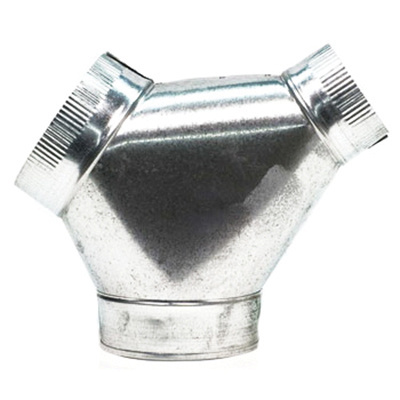 Fantech Y-Connector in aluminum color, features sheet metal construction and galvanized finish. It has a dimension of 6-Inch x 4-Inch x 4-Inch. This Y-connector is suitable for use with ducts.